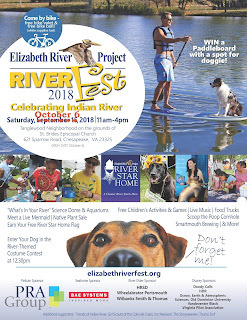 The annual event organized by the Elizabeth River Project will be in our area this year and promises loads of fun and lots of great information. This will be a dog friendly event and there'll be a bicycle valet. Visit the Science Dome and learn what’s in our river. Tons of cool FREE Kids Activities. Bring Your Dog. Earn Your FREE River Star Home Garden Flag. Visit the Native Plant Sale by the Chesapeake Master Gardeners. Adopt a River Otter. Live Music. Earn a NEW Elizabeth River Girl Scout Patch. Face Painting. Bounce House. See the Scoop the Poop Relay with a River Theme Dog Costume Contest. Win a Stand-Up Paddle Board. Meet a Real Live Mermaid. Tasty bites from Wicker's Crabpot Seafood, Your Pie pizza, Kona Ice and Smartmouth Brewing. And More! Our guest speaker will be Pauline Hundley at Four Seasons Nursery who will talk to us about "Lasagna Gardening" - a low maintenance gardening technique to build rich, fluffy soil in your garden. We'll be doing work around the park entrance, trailhead, and along the trails including some trail work, pruning, weeding, and cleanup. 8:30 am to 10:30 am. 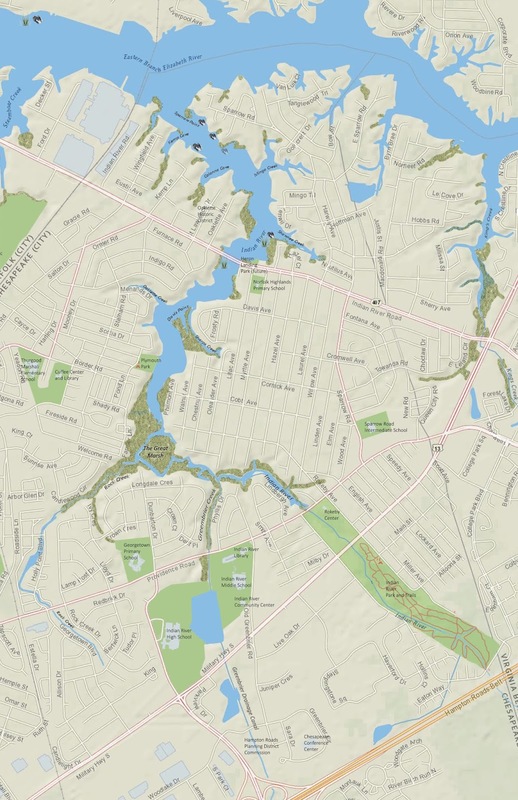 Join us for a hike along the nature trail and through the park. 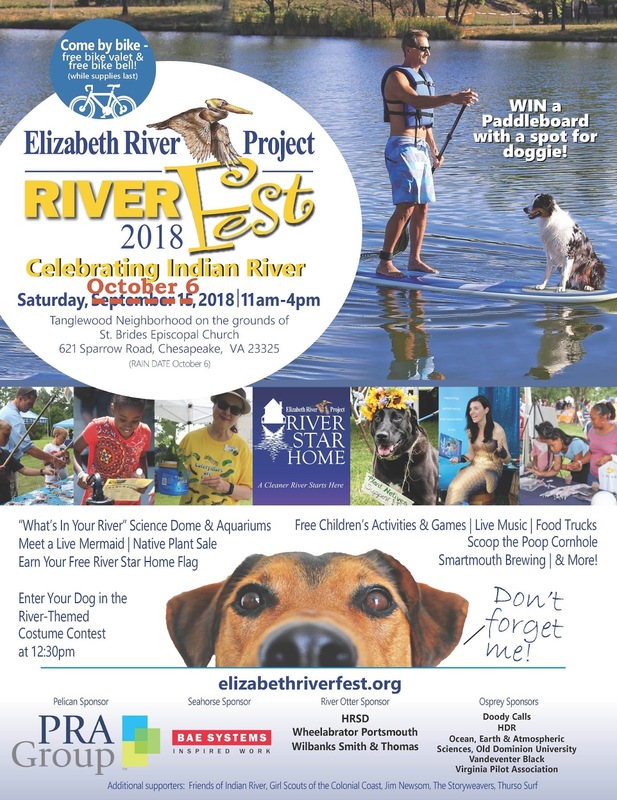 Learn about the history of the park, the native trees and plants in this century old forest on the Indian River flood plain, and its value to maintaining the health of local butterfly, bird, and wildlife populations. Note: the forest trail has uneven surfaces and minor elevation changes. Join us and the Chesapeake Bay Foundation at the Sandler Center for the premiere of film THE HUMAN ELEMENT on Wednesday, October 24th. Renowned photographer James Balog (CHASING ICE) uses his camera to reveal how environmental change is affecting the lives of everyday Americans. 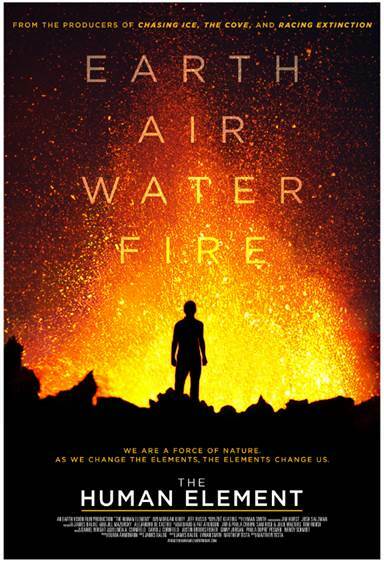 Following the four classical elements— air, earth, fire and water— to frame his journey, Balog explores wildfires, hurricanes, sea level rise, coal mining, and the changes in the air we breathe. With compassion and heart, THE HUMAN ELEMENT tells an urgent story while giving inspiration for a more balanced relationship between humanity and nature. The move will be followed by a discussion on sea-level rise and climate change with James Balog and CBF President Will Baker. 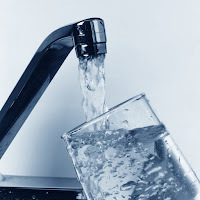 Aqua Virginia Acquisition: We are very happy to report that, by a vote of 8-0, the City Council has authorized the the City Manager to sign the contract to purchase the Aqua Virginia Water System in Indian River. That moves us one big step closer to getting that part of the neighborhood on clean, safe, City water. We wish to thank City Manager James Baker, Public Utilities Director David Jurgens, City Attorney Jacob Stroman, and their staff for the diligent work to bring this contract together. Engineering design work should begin quickly, although there are still several steps - and probably months - to go before the deal goes to Closing and the acquisition is completed. We had a big success with doing our part for the International Coastal Cleanup on the Indian River last month. 13 volunteers on flotilla including 4 kayaks, 3 canoes, and a skiff pulled out over 800 pounds of trash including 3 tires, 3 ghost crab pots, a huge plastic tarp, plywood, hundreds of bottles, cans, and plastic bags, and a surprising assortment of kids toys including a baby walker. Thank you to all who participated and we'll be planning to do this again next September, so start planning to participate now! I'm so grateful for all that you've done. Keep plugging. Many viewers like me fancy your writing. The best part is what happens when you master a couple of hard skills and learn as much soft skills as possible to fortify what you have then you are surely on your road to success.